Tom Hank’s bearded mug may be the most recent reminder of piracy for most Americans, but Captain Phillips’s box office take is a secondary concern for U.S. maritime security company AdvanFort. 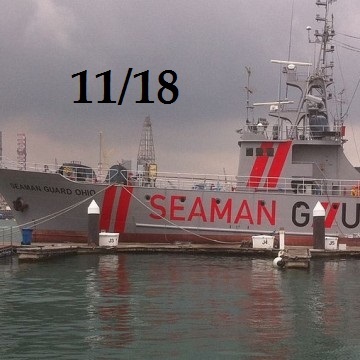 On October 18, India arrested the crew of the security company’s Seaman Guard Ohio, a ship owned by AdvanFort but flying a Sierra Leone flag, for violations of India’s maritime regulations. AdvanFort is one of a growing number of maritime security firms contracted to guard commercial vessels from pirates in shipping lanes off the coast of Somalia and through the Indian Ocean. However, India has chafed under the constant presence of armed vessels so close to its waters. In 2012, Italian marines shot and killed two Indian fishermen who they mistakenly believed to be pirates. In response, India asserted its sovereignty, arrested the two marines, and began trying them in Indian courts over objections by the Italian government. The recent AdvanFort arrest is another assertion of Indian sovereignty over its coastal waters, and one that seeks to cover a previously untouched area of maritime security. There are two critical differences between the two incidents, each of which exert an independent pull on the central issue of jurisdiction over the vessels and their crews. First, the Italian marines were agents acting with the express authority of their State, where the AdvanFort guards were private employees acting under the direction of a company. Second, the Italian incident involved a conflict between two ships, an area of maritime law covered by both codified and customary international law, while the AdvanFort ship is accused of a violation of purely Indian regulations. These two factors increase the likelihood that India will dominate the resulting proceedings. The nation seems to have picked the perfect battle—it can assert its claims in an uncharted area of law against disorganized and weak opposition. The Italian incident involved the Enrica Lexie, an Italian oil tanker sailing from Singapore to Egypt that was guarded by a unit of Italian marines. Off the coast of Kerala, a state in southern India, the marines—after non-violent and non-lethal warning efforts—opened fire on an approaching Indian fishing boat, killing two sailors. Two days later, the Indian Navy escorted the Enrica Lexie into an Indian port and arrested the two alleged shooters. The opening phases of the trial took place at the state court level, where Italy reached what would have been a settlement, paying the families of the deceased fishermen in return for a dismissal of the claims. However, the Indian Supreme Court intervened, ruling that the Kerala State Court lacked jurisdiction to hear the case and that the trial should take place at the national level. However, the Indian Solicitor General pushed for a narrow definition of the triggering incidents. He argued that the accidental nature of collisions should carry over and limit the “other incidents of navigation.” Since the Italian marines deliberately fired on the fishing boat, a criminal act, there was no accident, and thus article 97 was inapplicable. In place of article 97, he argued that public international law should govern: specifically the S.S. Lotus precedent. In the S.S. Lotus, a French ship collided with a Turkish vessel, sinking the Turkish ship and killing some of its crew. A suit against the French captain commenced in Turkey and, on appeal to the Permanent Court of International Justice, the court found that the national identity of the injured vessel determined appropriate jurisdiction. The Supreme Court of India agreed with this argument and applied the S.S. Lotus precedent in place of article 97, granting India jurisdiction. The Indian court also rejected a claim for sovereign immunity. The Indian Solicitor General argued for a narrow scope of sovereign immunity that was dependent on the diplomatic status of the defendant and excluded armed forces personnel. This narrow, Indian-statute derived reading of sovereign immunity was permissible to the Court because, in its view, the idea of customary international law stemmed from the general idea of norms to which all nations consent. The Court reasoned, however, that when a nation does not consent, their own laws override these international norms. For the purposes of the alleged crime, the Indian Penal Code rendered “every person,” regardless of national origin, punishable. Thus, under the Court’s reasoning, the Code encompassed the Italian marines. 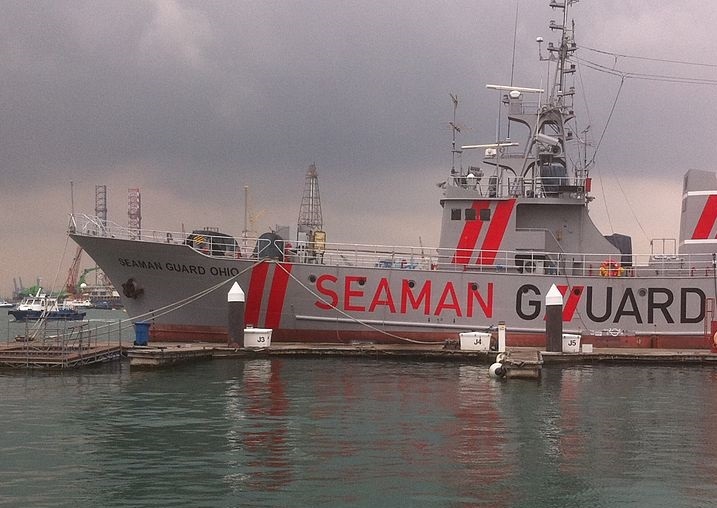 India has justified the Seaman Guard Ohio‘s seizure based on the violation of two laws. The ship was carrying weapons and ammunition through Indian territory without the necessary license. Also, the ship had purchased fuel without authorization in violation of India’s maritime rules. However, India’s jurisdiction is potentially limited by the location of Seaman Guard Ohio. In territorial waters, which extend up to 12 nautical miles from the coast, India has complete jurisdictional authority. By contrast, in the contiguous zone which reaches out to 24 nautical miles from the coastal baseline, India’s power to enforce its laws is reduced to enforcing customs and environmental regulations. If the Seaman Guard Ohio was apprehended in territorial waters, then AdvanFort can do little to avoid India’s jurisdiction because UNCLOS grants the country complete sovereignty. However, a factual debate exists over the location of the ship when it was intercepted. Indian sources claim that the vessel was in its territorial waters. Contrasting accounts, which rely on a police report, indicate that the ship was 19 nautical miles off the coast. Why is jurisdiction so important? Unlike in the Italian incident, the issue here involves a violation of regulations specific to the nation attempting to enforce them. Had Italy successfully asserted jurisdiction, the marines would still be tried in Italian court for killing the Indian fishermen. In this case, the claims against AdvanFort depend entirely upon Indian regulations, so a successful assertion of alternate jurisdiction would absolve AdvanFort of all liability. Unfortunately for AdvanFort, the Seaman Guard Ohio case doesn’t look good, even if the vessel was in contiguous waters. While the AdvanFort incident involved a single ship, which renders the logic of piercing UNCLOS to reach Lotus irrelevant, India likely has an even stronger avenue for establishing jurisdiction. Under article 33 of UNCLOS, a coastal nation has authority to prevent and punish infringement of “customs, fiscal, immigration or sanitary laws and regulations within its territory or territorial sea jurisdiction.” India’s Essential Commodities Act, which allows for government regulation of commodities such as fuel, could be read as a “fiscal” policy. Furthermore, India’s Arms Act specifically restricts the unlicensed transport of weapons and ammunition through Indian territory. This act fits neatly into article 33’s grant of customs enforcement in the contiguous zone. Thus, if the Seaman Guard Ohio’s violations occurred in territorial waters, it may not matter that it was subsequently picked up in the contiguous zone. An undercurrent of the realities of advocacy flows beneath these legal arguments. In the Ohio case, there are many interested countries—those of the detained security guards and passengers, the United States, India, and Sierra Leone, where the ship is flagged. However, it appears that because the actors involved are not state agents, the full range of political and diplomatic jockeying that occurred between India and Italy is absent. All the nations involved except for India have much less at stake. Indeed, this has already become evident. Where the Italians dispatched foreign ministers within a week, engaged in high level dialogue with the Indian Prime Minister, and even withdrew their ambassador in protest of an egregious trial decision, the actions surrounding AdvanFort have been less drastic. British consular staff stopped by an Indian jail to check up on the imprisoned Britons, AdvanFort has issued a flurry of press releases, and Sierra Leone has sent a letter protesting the seizure. Here, the parties attempting to defend themselves are fractured and politically weaker than Italy. Thus, given Italy’s unsuccessful diplomatic efforts to ward off Indian jurisdictional grabs, it seems unlikely that AdvanFort or Sierra Leone will be more successful. In this latest case, India wants to press its maritime sovereignty to the limit through an intersection of UNCLOS grants and readings of its own statutes. India’s successful pursuit of the case against Italy bodes well for the ensuing AdvanFort litigation. Where the Enrica Lexie case presented an array of statutory interpretation and international relations obstacles, these issues are diminished in the AdvanFort context, as the private and divided nature of the parties and the particular fit of the alleged violations into UNCLOS articles bolster Indian claims and weaken its opposition. For a PDF of this article in formal, law-journal format, click here. Citation: Noah Black, Criminal Jurisdiction over Maritime Security in the Indian Ocean, 1 Cornell Int’l L.J. Online 77 (2013). * Noah black is a J.D. candidate at Cornell Law School, where he is the Cornell International Law Journal’s Associate on Asian Affairs and an active member of the American Constitution Society. He holds a B.A. in English from Rhodes College. ‘Detained US Ship Part of Anti­pirate Ops, Not a Threat’, Hindustan Times (Oct. 21, 2013), http://www.hindustantimes.com/india-news/detained-us-ship-part-of-anti-pirate-ops-not-a-threat/article1-1138178.aspx [hereinafter Detained Ship]. Niharika Mandhana, India Seizes U.S. Maritime Security Ship, Wall St. J. (Oct. 14, 2013), http://online.wsj.com/news/articles/SB10001424052702304561004579135552413001532. Timeline: The Italian Marines Case, Hindu (Mar. 22, 2013), http://www.thehindu.com/news/resources/timeline-the-italian-marines-case/article4538162.ece [hereinafter Timeline]. See Clive Symmons, Embarking Vessel Protection Detachments and Private Armed Guards on Board Commercial Vessels: International Legal Consequences and Problems under the Law of the Sea, 51 Mil. L. & L. War Rev. 21, 34 (2012) (noting that the status of private armed patrol boats in international law is unclear and trickier than military detachments or private security guards stationed aboard a merchant vessel). Valeria Eboli & Jean Paul Pierini, Coastal State Jurisdiction over Vessel Protection Detachments and Immunity Issues: The Enrica Lexie Case, 51 Mil. L. & L. War Rev. 117, 122 (2012). See Mandhana, supra note 2. See Timeline, supra note 3. See Symmons, supra note 5, at 29. Republic of Italy v. Union of India, Writ Petition (Civil) No. 135 of 2012, and Special Leave Petition (Civil) No. 20370 of 2012, at § 84 (2013) (Supreme Court of India), available at http://ilcurry.files.wordpress.com/2013/03/imgs-1.pdf. United Nations Convention on the Law of the Sea arts. 92, 94, Dec. 10, 1982, 1833 U.N.T.S. 397. Republic of Italy v. Union of India, at §§ 64–65. S.S. Lotus (Fr. v. Turk. ), 1927 P.C.I.J. (ser. A) No. 10 (Sept. 7), available at http://www.worldcourts.com/pcij/eng/decisions/1927.09.07_lotus.htm. But see Eboli & Pierini, supra note 6, at 127–28 (arguing that the circumstances of the Lotus decision—the backdrop of agreements between France and Turkey—destroy the case’s utility as a precedent for claiming jurisdiction in any other event involving maritime casualties). See S.S. Lotus (Fr. v. Turk. ), 1927 P.C.I.J. Republic of Italy v. Union of India, at §§ 95, 100. Indian Penal Code, No. 45 of 1860, § 2(1). United Nations Convention on the Law of the Sea arts. 2–3, Dec. 10, 1982, 1833 U.N.T.S. 397. See, e.g., S. Vijay Kumar, U.S. Vessel was Anchored Close to Baseline, Hindu (Oct. 24, 2013), http://www.thehindu.com/news/national/tamil-nadu/us-vessel-was-anchored-close-to-baseline/article5266109.ece (reporting that the Seaman Guard Ohio was 3.8 nautical miles from the baseline, well within UNCLOS’s 12 nautical mile grant). See John Konrad, Document Contradicts Indian Government’s Claim Over Ship Arrest, gCaptain (Oct. 21, 2013), http://gcaptain.com/document-belies-indian-government/?utm_source=feedburner&utm_medium=twitter&utm_campaign=Feed%3A+Gcaptain+%28gCaptain.com%29. United Nations Convention on the Law of the Sea arts. 33, Dec. 10, 1982, 1833 U.N.T.S. 397. The Essential Commodities Act, No. 10 of 1955, §§ (2)(a)(viii), (3), India Code (1993). The Arms Act, No. 54 of 1959, § (II)(10), India Code (1993). See Mandhana, supra note 2 (“The 10 crew members and 25 armed security guards include U.K., Estonian, Indian and Ukrainian nationals . . . .”). See Detained Ship, supra note 1. See, e.g., AdvanFort Requests India to Release All 35 Crew, Hindustan Times (Oct 24, 2013), http://www.hindustantimes.com/india-news/advanfort-requests-india-to-release-all-35-crew/article1-1139489.aspx. Press Release, AdvanFort, Republic of Sierra Leone International Ship Registry Protests “Unlawful” Seizure of MV SEAMAN GUARD OHIO by India (Oct. 25, 2013), available at http://www.advanfort.com/Republic-of-Sierra-Leone-International-Ship-Registry-protests-unlawful-seizure-of-MV-SEAMAN-GUARD-OHIO-by-India.pdf. Next Article Your Three-Day Siberian Excursion Awaits! Sir, in the second paragraph of your paper, you wrote that :”In 2012, Italian marines shot and killed two Indian fishermen who they mistakenly believed to be pirates”, citing an article of the Hindu newspaper. The two Italian marines are still awaiting trial after being detained for over 20 months in India, as a J.D. candidate you should know that they are innocent until they are proven guilty. Before calling them killers, you should wait the trial’s result. Thank you for your comment. You are certainly right about the idea of “innocent until proven guilty.” However, life-taking is not the critical issue. In the trial, the central question will likely be the justification for the killings, not their occurrence. Justification is a defense asserting that the action taken was a lawful given the circumstances—and there are circumstances when killing another is a acceptable. This justification separates a “killer” from a “murderer” (despite how pejorative the word killer is, here it functions as a descriptive, and not moral, term). A soldier may be a killer, and one who takes a life in self-defense is a killer, but neither are criminals because their killings are justified. Here, if the Italian marines are able to prove that their belief of the pirate threat posed by the St. Anthony was reasonable, and that their response was reasonable, they will be innocent of murder.